I've been using IRC proxies on-and-off since 1999, and consistently since 2003. I used dircproxy until February 2008, when I joined Canonical, at which point I switched to bip, as I needed support for SSL encrypted connections. As you'll see below, it's not too complex, but it's really quite robust. With this setup, all messages are logged, whether I'm attached or not. When I'm not attached, I'm automatically marked 'away'. All traffic between me and my server is encrypted. Most importantly, my client marks any flagged messages/highlights that I missed each time I reconnect. Though you may need to enable it in /etc/default/bip. # A user can have mutiple connections to irc networks. Once you've installed and configured bip, start the service! Here, you really just need two things ... an always-running SSH tunnel to your server, and your IRC client. I'll discuss Ubuntu/xchat here, but you can do the same with Android/AndChat. There are several ways to configure an SSH tunnel (like stunnel), but here I'm going to show you the one that I'm partial toward :-) I wrap an ssh port forwarding session with keep-one-running, and configure Unity to launch that automatically at boot. Now I want to make sure that there's always one, and only one of these running on my laptop client at all times. I want it to automatically reconnect if I lose wireless connectivity, switch access points networks, suspend-and-resume, etc. So I wrap that command with the keep-one-running utility. And I set Unity (or Gnome/KDE/XFCE) to run this command at desktop login. Alt-F2, "Startup Applications". At login, I can run "ps -ef | grep keep-one-running" and see the command in my list. 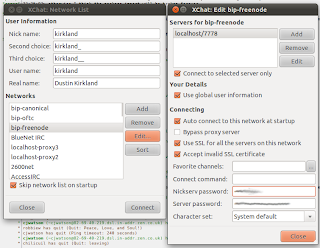 Finally, I need to configure my IRC client, xChat, to talk to localhost:7778, rather than irc.freenode.net. Here, you'll add a custom "network" for each of the server connections you defined in your /etc/bip.conf on the Server. You'll use localhost/7778 for the hostname and port, since that's where you're SSH-port-forwarding to. You'll enter your NickServ password (if you authenticate to IRC). And you'll use the Server Password you created with bipmkpw. 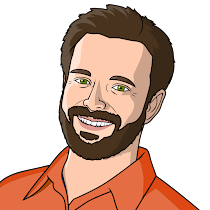 Now, if you have an Android device, you can connect to the same proxy, by following my colleague, Juan Negron's supplementary post here! Do you think you could improve your connectivity with such a setup? Do you have a better way of solving this problem? > Do you have a better way of solving this problem? Bah! This proxy stuff is for the birds, once my alice irc formula is complete it'll all be awesome. You might want to look into the ServerAliveInterval and ServerAliveMaxCount SSH options to ensure SSH terminates when the connection dies. IRSSI + Screen + SSH is nice too :-) It doesn't quite meet my personal requirements, but I've used it, and I can certainly see why others would. I prefer integration in Ubuntu's messaging menu, and having my communications program separate from my set of terminal windows. Thanks for the suggestions, yeah, I've been meaning to add those options to my SSH call. Thanks for the reminder ;-) And the pointer to autossh. You don't really need the SSH tunnel (or keep-one-running). 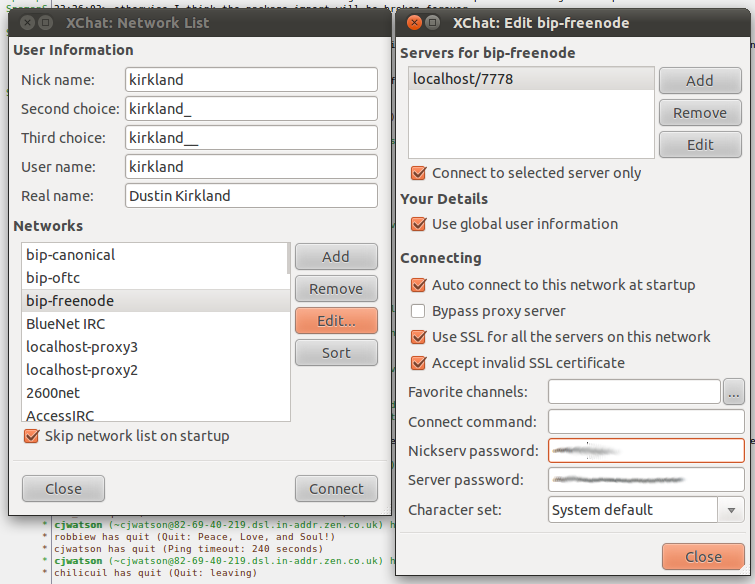 Just enable SSL in bip and configure xchat2 to connect over SSL. You don't *have* to, but it's not the wisest idea to run bip listening on the public internet if you can't help it. The idea is to have less running daemons, thus less avenues for exploitation. IRC networks have traditionally been a hostile place for decades. Just wanted to mention that there are irssi scripts which enable desktop notifications for messages/hilights. 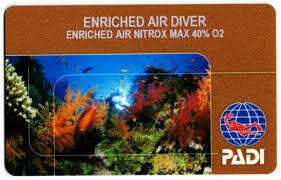 I've been using it for a few weeks now and it appears to work really well. Only thing that irks me when using it is whenever the client section reconnects to the server part it re-shows all the highlights that are in the channel's backlog, even if you acknowledged them before.